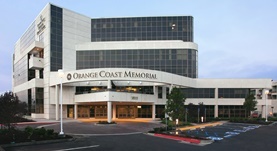 Dr. James Boyajian is a specialist in internal medicine in Santa Ana, California and he is associated with Orange Coast Memorial Medical Center. He graduated from Jefferson Medical College where he got his medical degree. He did his residency program in internal medicine at Christiana Care Health Services. After this, he did a fellowship in pulmonary disease and critical care medicine at the University of California Irvine. The doctor has been practicing for more than 20 years. Dr. James Boyajian has contributed to 3 publications. Brenner, M., Shankel, T., Wang, N. S., Waite, T. A., Wong, H., Hamilton, A., Tadir, Y., Milner, T., Boyajian, J., Chung, E., Tromberg, B., Wilson, A. F., Berns, M. W.; Am J Respir Crit Care Med. 1996 Mar. Investigation of computer lung model-predicted DLCO during single-breath maneuvers. Brenner, M., Babusis, A., Tran, V., Bellusa, L., Pinderski, E., Chen, C., Boyajian, J., Guich, S., Wilson, A. F.; J Appl Physiol. 1994 May. Acidosis stimulates beta-endorphin release during exercise. Taylor, D. V., Boyajian, J. G., James, N., Woods, D., Chicz-Demet, A., Wilson, A. F., Sandman, C. A.; J Appl Physiol. 1994 Oct.